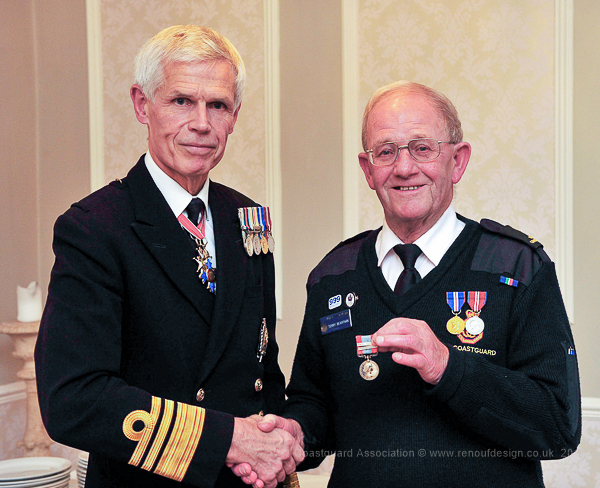 Congratulations to Terry Bearpark, the vice-chairman of the Coastguard Association, who was presented with his 40 year bar by MCA CEO Sir Alan Massey Thursday 12th November. 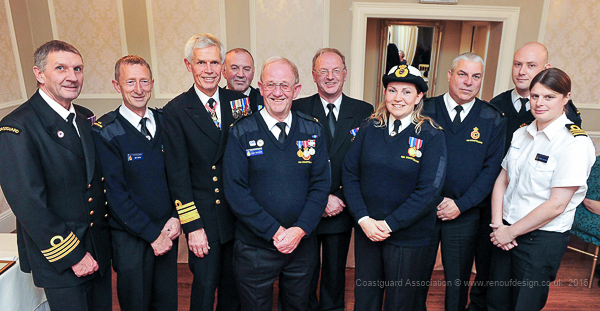 The presentation took place at Dunedin Country House in Patrington, East Yorkshire and was attended by members of Withernsea Coastguard, Mike Bill and Fran Wilkins of Humber Coastguard and Stuart Arundel (CGA Chair), Alan Fisher (CGA Treasurer) and Paul Davig (CGA Almoner). Terry started as an Auxiliary Coastguard at Humber MRSC when it was based at Kilnsea, he then moved to Spurn Point in 1975 as a channel 16 radio operator. In the 80s in transferred to Withernsea CG after Humber CG moved to Bridlington. 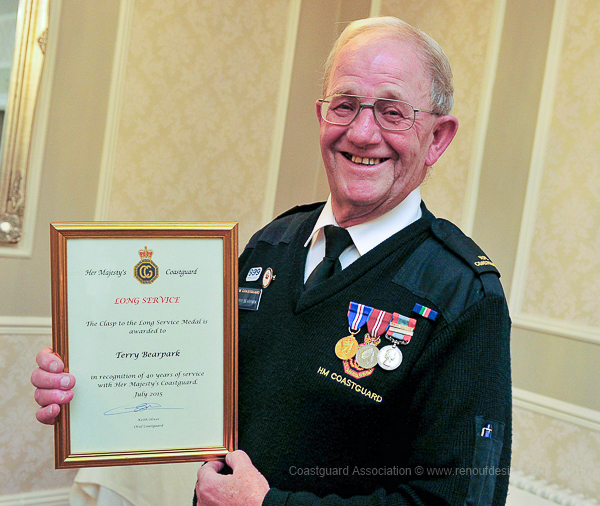 Terry was also awarded Chief Coastguard’s Commendation in the early 90s. 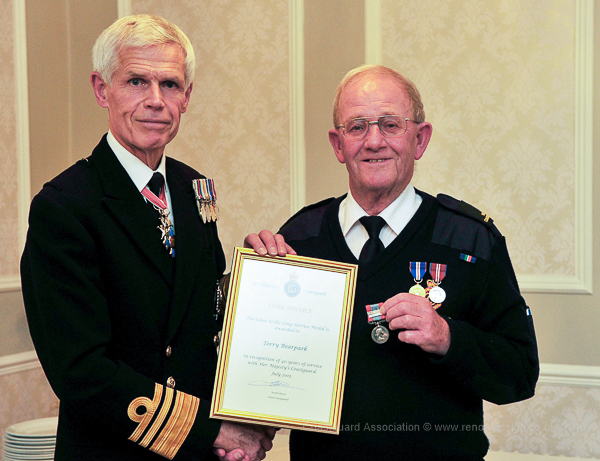 Terry is a founder member of Humber Coastguard Association which started about 40 years ago and has been their Chairman for many years, we are also delighted to say that he is a founder member of the National Coastguard Association too, and has given us around 40 years of service too – as in 2016 we celebrate 40 years of the CGA. During his time in service Terry has been involved in numerous rescues and searches.